All Crypto wallets: offline/hardware, online and software! As a matter of fact, a crypto wallet encompasses both, a public and private key which can unlock anyone's access to the stored digital assets. Cryptocurrency wallets come in different forms, they can be software, hardware and website based, respectively. However, the function stays the same, that is to store, send and receive digital currencies with advanced levels of security. The cryptocurrency wallet named Jaxx is designed keeping in mind the user needs and thus have developed an interface which is suitable for your desktop as well as mobile. The wallet has the cross-platform pairing feature and does support multiple coins. Taking about desktops, Jaxx is compatible with Windows, Linux and Apple desktop. On the other hand, it is also accessible on iOS and Android mobile and tablets. 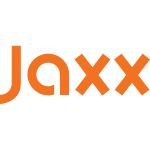 Downloading Jaxx for your devices is free but the transaction fee applies. For instance, carrying out an Ethereum (ETH) transaction costs you over 0.000441 ETH. Till date the range of cryptocurrencies supported by the wallet includes Bitcoin (BTC), Dash (DASH), Ethereum (ETH), Ethereum Classic (ETC), Litecoin (LTC), and this list is not exhaustive. One can receive payments by simply providing another party with your address. When it comes to sending crypto to someone, you can simply use their address or even a QR code will do the trick here. MEW supports ETH, ETC, any ERC20 token and EOS (EOS) tokens. The wallet is accessible on your desktop is compatible with other wallets like Mist, Geth, MetaMask, TREZOR, Ledger Nano S and the like. Transacting in Ether, you will be charged a fee which does not go to the MyEtherWallet but to the miners working on the blockchain. Taking up the security aspect, the safety level of the wallet will solely depend upon the users and their ability to use the tool efficiently. The wallet also provides you with the facility of offline transactions but its viability is objective to each user. 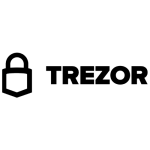 Functioning similar to a USB dongle, TREZOR is a hardware bitcoin/crypto wallet that comes with these interesting feature of allowing you to securely access your cryptocurrencies even on insecure computers. As it operates on the Zero Trust approach, it limits its transmission with other devices. Payments with TREZOR can be made instantly just by following a few simple steps i.e. click send tab on the plug-in, enter your PIN, confirm the transaction and lastly, observe your transaction’s progress. Talking about its price, the hardware wallet costs you approximately US $300 and can offer higher degree of secured digital storage to crypto users. However, its limited attack surface and no security compromise features have earned it the reputation of being a favourable hardware wallet in the market. Based in Melbourne, Australia, the wallet is primarily designed to cater the users from Australia, Canada, USA, U.K, New Zealand plus 7 more countries. It offers you the facility of offline cold storage nonetheless the cold storage, might not be the most feasible option for trading instantly. The wallet claims to be the world’s most disruptive platform to trade and manage your cryptocurrencies namely BTC, ETH, LTC, Ripple (XRP), etc. Officially, it states that MyCrypto Wallet has successfully exchanged digital currency valuing $20M+. 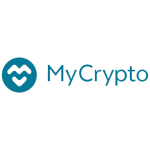 The wallets enable one-click tracking of your spendings on the myCryptoWallet app over your phone. As the wallet is Australia based, it allows you to instantly purchase cryptocurrencies with their own Australian currency AUD. 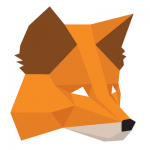 Apart from being an online cryptocurrency wallet, MetaMask is a browser extension i.e it acts as a bridge between the ordinary browsers and Ethereum blockchain. The developers say that their expedition is to make Ethereum super easy to use for the users at large. The storage of blacklist of malicious sites with the MetaMask prevents you from entering such websites and the key storage at MetaMask ensures that you are not exposed to phishing sites. MetaMast is counted amongst the top used Ethereum wallets and provides hot storage i.e. it provides you with the online storage facility and therefore, exposes you to the risk of phishing attacks. You can use Coinbase or Shapeshift to fund your account and eventually buy tokens or ether. While the security aspect of the wallets remains questionable, MetaMask does assist newbies in familiarizing them to the worldwide network of the blockchain. 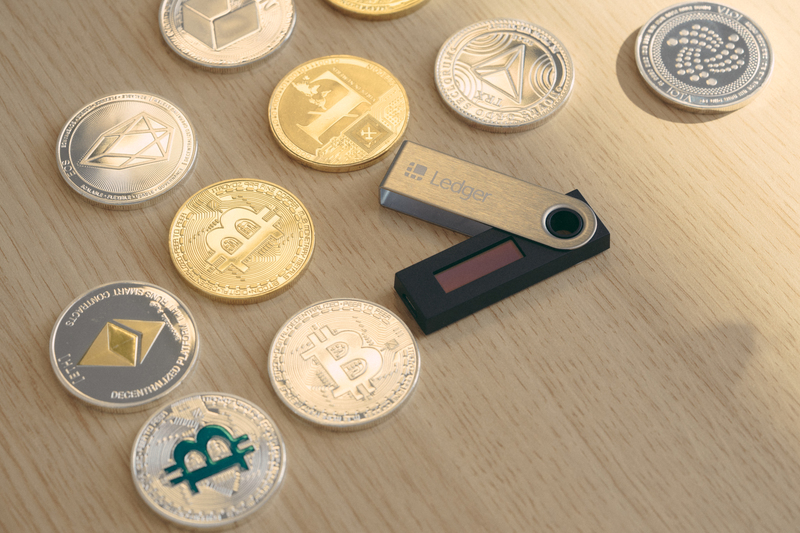 Ledger Nano S is a cryptocurrency market hardware wallet that permits you to store Bitcoin, Ethereum and a horde of altcoins. The wallet is the rock-bottom priced hardware wallet with a screen, as they claim it. The wallet’s strong competitors in terms of organic LED (OLED) screen are TREZOR and KeepKey. The Nano S wallet can be easily connected to your computer using the USB. In order to use Ledger Nano S, you’ll need Google Chrome or chromium on your Windows (7+), Linux/Chrome or Mac (10.8+). The other software wallets supported by Nano S are MyEtherWallet, Copay, BitGo and more. Being the hardware wallet, you’ll be required to pay initially to own Nano S and buying it will cost you EUR 79 plus any applicable taxes. Paying and receiving payments with this hardware wallet is as simple as it can get. Moreover, you get the option of backup and restoration, offline storage and advanced passphrase options. It’s a fact that this hardware wallet cannot be hacked, as the company has held several bounties available for hacking their software. 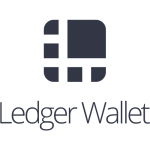 Up to date, no hacker has succeeded in stealing funds from the Ledger wallets. Launched in the year 2015, KeepKey is a bitcoin hardware wallet equipped with the advanced security feature to deal with virtual and physical theft. It is an HD i.ee hierarchical deterministic wallet, which means that it serves as a hub for multiple private key storages and its recent price cut had made it the most affordable option for the user out there who are looking for investing in secure and worthy wallets. Earlier it retailed for S$239 and the price has slashed down to a considerable low of US$99. However, it is still considered expensive compared to some of the other hardware wallets in the market. The cryptocurrency supported by KeepKey wallet are ETH LTC, BTC and much more. Looking at its accessibility, the wallet is compatible with operating systems namely- Mac, Android, and Linux. Additionally, it is compatible with software wallets named Electrum, Mycelium, and MultiBit. A desktop wallet designed to provide users with the access to their cryptocurrency assets. The wallet enables you to manage your cryptocurrency portfolio through its user-friendly interface. 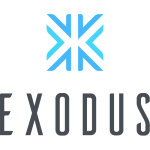 Exodus is compatible with Mac, Linux, and Windows and it claims to be the only desktop wallet having the full ShapeShift functionality. Just like any other desktop wallet, Exodus charge a transaction fee each time you process a payment. Various cryptocurrencies that can be stored in the wallet are Bitcoin Gold (BTG), Bitcoin Cash (BCH), Dash (DASH), Ethereum Classic (ETC), etc. You can add currency to your wallet in a few simple steps i.e. first purchase the cryptocurrency asset in your national currency and then transfer it to your wallet for safe storage. Just like adding currency, payment with Exodus can also be made very easily. The wallet is secure as it encrypts your blockchain assets and gives you the direct access to it by storing it directly on the computer. Additionally, the backup and simply reactivation facility helps you deal with unforeseen events with ease. 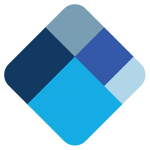 Mist is the official Ethereum Wallet and is created by the developers of the Ethereum network. Therefore, in terms of security, the wallet is assumed to be comparatively safe. The Mist wallet has been designed keeping in mind the user’s need to have complete access of their fund anytime and anywhere. The wallet features two types of wallet solutions to its users i.e. simple and multi-signature. Multi-signature feature for the purpose of enhanced security, if needed by the user. The major limitation of the wallet is the need to download the entire Ethereum blockchain before being actually able to effectively use the Ethereum Mist Wallet as the downloading process takes an unusually long time to download. The delay in synchronization has also resulted in reported cases where the users lost money. Since the new version of Mist is ready to be used, let’s hope the issue is addressed and expect some improvements in this regard. 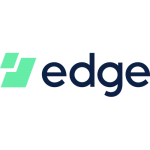 Edge wallet gives you the ease of buying and selling your digital assets as the wallet allows you to do the bitcoin trading securely on your mobile. In order to transfer funds, the wallet supports Bluetooth Low Energy (BLE) and does the QR code scanning. What makes Edge stand out from the crowd of other outperforming wallets is its unique feature of Business Directory. The Airbit’z business directory enables mapping of all bitcoin-accepting business places nearby. The transaction fee remains undeterminable as it is dependant on factors such as congestion and the transaction size. The list of cryptocurrencies supported by the wallet is extensive and includes Bitcoin, Bitcoin Cash among the 140+ fiat currencies. Concerning the security aspect, the wallet has two-factor authentication amongst the other strong security features. In order to receive fund, you need to raise a request and in order to send bitcoin, you can simply click on the send button and utilize your QR code scanner to do the rest. What we know by cold storage in the crypto market by now was initially grasped by Armory. 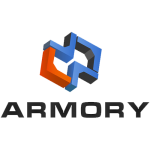 Additionally, open source protocol and rich security features have gained Armory the name it carries in the market today. It is a desktop wallet and is essentially used to trade bitcoin. As an auxiliary support, the wallet enables password protection during the sending process. Being able to store the private keys offline i.e. the cold storage, the user can prevent himself from unscrupulous hacking activities. Supporting exclusive storage of bitcoins, users can receive bitcoins directly by sharing the bitcoin address with the other party. The wallet is free to install and charges a transaction fee as a general rule of wallets. Apart from sending and receiving bitcoins online, you can also process a transaction offline by using the offline- transaction feature for sending bitcoins. As it works on the Glacier Protocol, the security of the wallet’s cold storage remains unquestionable. Bitcoin core originally is the software that runs the whole bitcoin network. What comes as a package with it is the secure digital wallet that facilitates the storage and trading of bitcoins. The wallet is compatible with Mac OS X, Linus, Windows 7+ and some ARM chipsets. The only cost associated with the Core wallet is the hard-drive space and the bandwidth. In order to use the wallet on your PC, your system must be fully-equipped so that it can process the download smoothly. 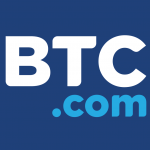 The payments and receipt of bitcoin can be conveniently made using the bitcoin addresses. Talking about the security aspect, the decentralized peer-to-peer system and high privacy level ensure that your security isn’t compromised. The problem that the wallet may pose is the hardship for beginners and high storage requirement on the hard drive. Core’s compatibility with Tor ensures privacy protection from possible third-party threats. An online solution for your cryptocurrency storage, Blockchain is known for storing Bitcoin and Ether. Developed by the Luxembourg-based software company, the wallet is accessible on both web and mobile devices. Backed by a friendly user interface, built-in security centre and flexibility of altering transaction fee, Blockchain is completely free to use. It has a multi-layer feature of security where level one includes email verification, passphrase and password hint. Level two includes 2-step verification and linking your mobile phone no. and level three consists of blocking tor requests. Pairing your web wallet with a mobile device can be done easily by scanning the QR code. The limitation of the Blockchain wallet is the inability to purchase cryptocurrencies with fiat currency straight through the wallet. Lastly, being an online wallet exposes blockchain to the risk of a security breach when compared to offline wallets. A user-friendly digital wallet with its headquarters in Zurich, Switzerland. 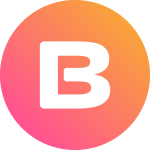 Bread is a mobile app known for Bitcoin trading. It is available on Android as well as iOS and its suitability for non-technical beginners make it a convenient option for the new users. While a customary transaction fee is associated with the transaction, the user may adjust it and choose to pay higher for transacting faster than the usual course of time. For adding bitcoin to bread, the app had a built-in option and making payment through the app requires the bitcoin address of the addressee. Going forward let’s learn about the security of the wallet. The transactions at bread are managed through a decentralized environment which ensures higher privacy for the users. Also, the users are protected against any possible vulnerabilities that may pose to the users for not having total control of their funds. 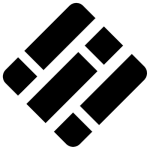 Brought into existence by Bitmain, the wallet proffers a no-frills interface to its users. The ability of the wallet to sync contacts and send bitcoin right-away to the addressee without having to know the individual bitcoin addresses comes across as a very useful feature. It is compatible with web, iOS, and Android. The cryptocurrencies that the users can store in the wallet are Bitcoin and Bitcoin Cash. While the integration with Bitcoin cash is a fresh affair, the company has made its navigation improvement plans public with regard to both cryptocurrencies. Payments with BTC wallet can be made in three modes i.e. manual entry, scanning QR code or simply by synching contacts. The multi-language supports, handy backup, and recovery, two-factor authentication makes it a good to go option for the users. Ultimately, its association with the uncontroversial Bitman company adds to the favourable reputation of BTC wallet. Founded in the year 2013 by former Goldman Sachs employees, the wallet has evolved and seen various improvements concerning the reliability and ease of use for the users. 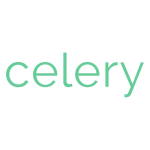 The word Celery comes from the Latin origin word meaning speedy or swift and this is the assertion of the wallet developers. Celery, being an online wallet assists you to make an online purchase, sale and store your digital currency. In order to do so, the users primarily need to link their bank accounts with the wallet at celery’s official website. Unlike other wallets offering you the unlimited trading option, celery has set some limits for digital currency trading. Talking about its compatibility, the wallet is accessible through most significant browsers including Internet Explorer and Chrome. The cryptocurrency storage facility at Celery is available for Bitcoin, Litecoin and Dogecoin. The wallet has equipped several security features to ensure client’s security and it includes encryption, backups, cold storage, penetration testing audited code and bug bounty. With the option of storing multiple cryptocurrencies, Coinomi is a mobile wallet that enables easy asset trading. It does support multiple languages and considers your privacy a priority. It is compatible with Android and iOS. The range of cryptocurrencies that you can store and transact in your Coinomi wallet includes Bitcoin, Dogecoin, Ethereum (ETH), Ethereum Classic (ETC), and much more. Adding currency to your wallet includes a few easy steps i.e. create a new wallet, seed phrase, choose a password and then finally currency settings. You can receive the payment through your unique wallet address. Coinomi maintains the anonymity of your identity in order to ensure security and prevents you from any malicious bad actors or tracking practices. The availability of source code helps in boosting the community participation in the project. Cross-chain payment facility of the wallet enables an easy transaction between different cryptocurrencies. Accessible on your desktop and web, the hierarchical deterministic Copay wallet is designed to provide digital currency users, the transparency and convenience that they look forward to. Having the feature of multi-signature, the wallet enables single wallet use by multiple users and for the same reason, the wallet becomes a good choice for business transactions across the globe. It is compatible with various operating systems namely Windows, Mac, and Linux. Supporting the storage of only Bitcoin, the wallet permits you to examine prices for over 150 fiat currencies. 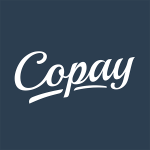 Copay is ideally suitable for users who do not wish to entrust their funds to a third party. Just like most of the other wallets, users have the convenience to make and receive payments through the bitcoin addresses or by scanning the QR code. Copay is considered to be the first of its kind of Bitcoin wallet that assists a full Bitcoin Payment Protocol. A multi-currency light wallet launched in mid-2017 as a mobile wallet for iOS and Android, Eidoo today has its own beta version of the desktop app which was released in early 2018. 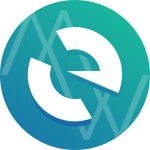 Presently permitting the users to store Ethereum (ETH), ERC20 and ERC223 tokens, the wallet will soon comprise a hybrid exchange that will give users the flexibility to swap between tokens conveniently. Developers Eidoo Sagl based in Switzerland is committed to including a decentralized blockchain-driven marketplace, cryptocurrency debit card, and a dapp module as a part of this project. The cryptocurrencies supported by Eidoo include Waltonchain (WTC), Nebulas (NAS), Populous (PPT), Bytom (BTM) and the list continues. The market share of the wallet, as Eidoo is relatively new in the market its influence is yet to be seen. The security features that the wallet has to offer to its customers include private key, recovery tool and backups. Developed by a German computer scientist, Electrum is a desktop wallet suited exclusively for Bitcoin trading. The wallet has gained momentum since its launch back in 2011. For now focusing on the reliability and efficiency, the platform supports only one cryptocurrency storage and trading out of other 900 cryptocurrencies active in the market. Electrum’s integration with the other significant hardware wallets such as KeepKey, TREZOR and Ledger Nano S has added to one of its prominent features. The standard transaction fee charged by the wallet is 0.2 mBTC (millibitcoin ) which may further be as low as 0.1 mBTC, subject to fulfilment of conditions in individual cases. Owing to its good private security features, the wallet has gained popularity among the regular digital currency users. Just like the bitcoin private keys, Electrum provides you with the security through its highly secured seeds i.e. the random phase used to generate the private keys. Having earned the tag of the ‘fancier wallet’, the GreenAddress wallet is well known for providing n number of add-ons. For the same reason, the wallet s sought by the more experienced digital currency users. 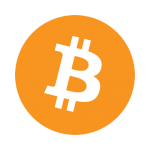 The open source wallet allows users to conveniently send, store and receive Bitcoin. The wallet-like most other prevalent wallets in the market are free to install and use. However, the transactions are duly subjected to a specific transaction fee which may change depending upon the underlying demand in the blockchain. Transferring the Bitcoin into your wallet will require an intermediary like a bitcoin exchange as many payment services and banks do not support bitcoin right away. The wallet till date supports a handful of global leading bitcoin exchanges namely Kraken and BitStamp. GreenAddress provides robust security features includes two-factor authentication and watch-only feature which enables you to quickly check your balance without having to completely access your wallet. 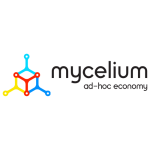 Designed by the company specialized in security, software, and hardware, Mycelium wallet offers five different account types i.e. HD (Hierarchical Deterministic), Single Address Accounts, Bit ID (open protocol), Hardware (for offline devices) and “Watch Only” Accounts. The wallet has ‘Best Mobile App’ of 2014 award by Blockchain.info to its credit as Mycelium was recognized as one of the prominent bitcoin mobile wallets in the industry. The limitation that the wallet faces is no desktop interface and the inability to sign messages. Otherwise, it is ideal for users considering the strong industry reputation, quick bitcoin network connection, and integration with a range of wallets and ledgers. You can get your hands on the wallet by simply downloading it from the company’s main website for free. The wallet will be steadily downloaded on your Android or iPhone device. 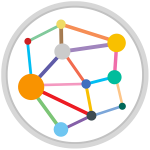 Also, the Mycelium wallet users have the flexibility to switch from bitcoin to regular fiat currency and vice versa. 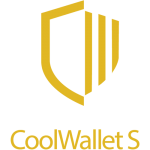 One of its kind, the CoolWallet is a wireless digital wallet for bitcoin that uses the near field communication (NFC) or Bluetooth to connect to your device (Android or iOS). Focussed essentially on providing portability convenience to its customers, the wallet has a promising sleek design which makes it your ready to go, partner. The device has an inbuilt secure element (SE) chip for storing all your private keys and the built-in display allows you to view the transaction details in a jiffy. The range of cryptocurrencies that you can store in this wallet is Bitcoin Ether , Litecoin, Ripple, Bitcoin Cash and ERC20 tokens. The smartly designed wallet has made no compromises to its security as well. The wallet contains an eAL5+ certified SE microchip, encrypted Bluetooth for secure transfers, multiple confirmations and desired security levels to choose from and this makes it pretty cool just like the name.